The woman named her gem “Lichtenfels,” a nod to her hometown in Germany. The word means “a rock between two lights,” which is significant because she was standing between her grandchildren when she found the diamond. The lucky grandma plucked the diamond from the soil about halfway between the park’s East Drain and North Wash Pavilion. Visitors are encouraged to test their luck with basic tools in a 37-acre plowed field, which is actually the eroded surface of a volcanic crater. Even though she found her diamond early in her search, the family continued to prospect for another hour before returning to the park’s Diamond Discovery Center, where experts are on hand to help visitors identify what they’ve found. The largest diamond ever discovered in the United States was unearthed here in Murfreesboro in 1924 during a mining operation. 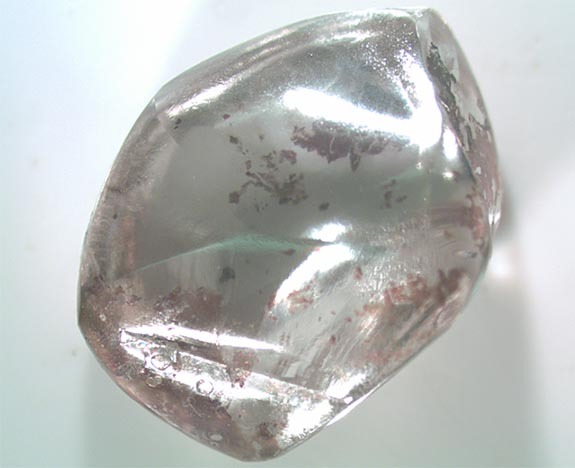 Named the “Uncle Sam,” the white diamond with a pink cast weighed 40.23 carats. The largest diamond ever discovered at the park by a visitor was the 16.37-carat “Amarillo Starlight” in 1975.